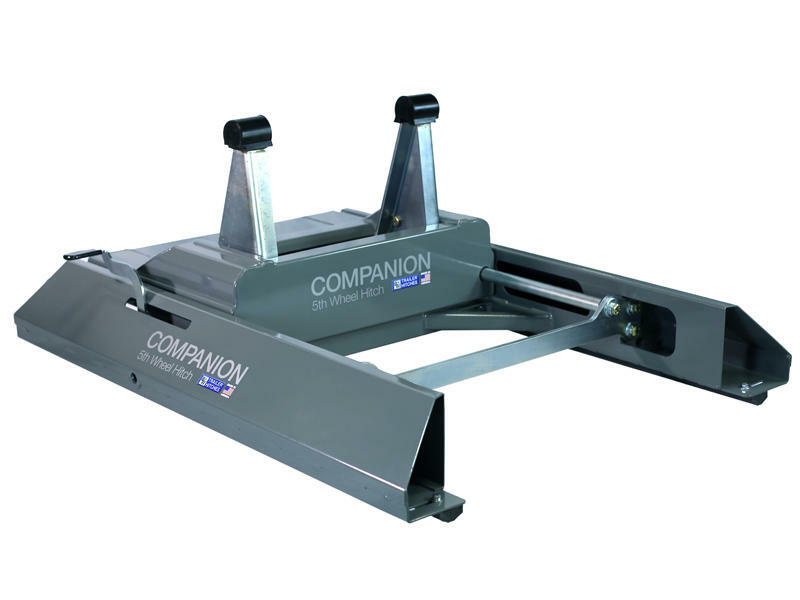 Made for the B&W Companion™ fifth wheel hitch AND to be utilized with the turnover ball™ gooseneck underbed system only. Offers 12" of rearward slide for extra turn clearance and automatically latches in both directions. Can be removed BUT it is suggested that two people do so. Slider weighs 207 lbs - Built for long term use! The underbed turnover ball gooseneck system AND the Companion MUST be purchased in order to use this product.